Join us this week as we welcome the Indie Pop Rock band, DE’NOVA. Hailing from Manchester, UK., DE’NOVA, over the years, have played with bands from all parts of the globe whilst learning, discovering and experimenting with their sound. With all members having foundations set around Manchester the band stay firm to their roots. Despite this De’Nova have an intriguing story inspired by their ancestry. Coming from various multicultural backgrounds which incorporate the spirit of the Philippines, passion of Italy and quirks of Ireland; the band have an unquestionable drive and focus when it comes to nurturing their music. The result are a blend of intricacies which cannot be replicated. The chemistry of different thinkers in this outfit delivers a uniquely fine tuned song-writing force. The band's brand new EP release on Dusty Pop Records, "Young Hearts" is available Now at digital outlets. 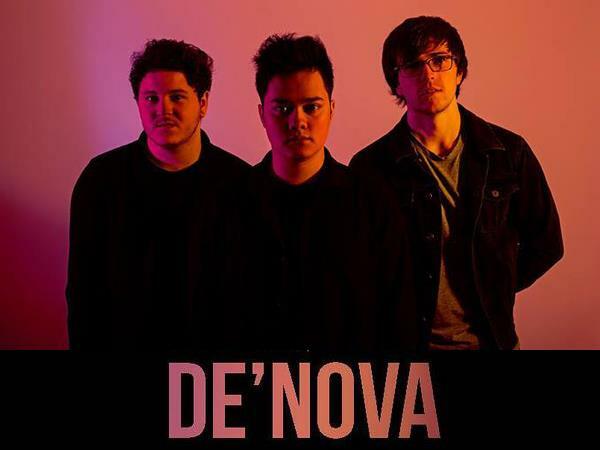 We will talk to DE’NOVA about their upcoming schedule, get a behind their scenes look at their music, feature their latest songs, and ask them to share their message for the troops. Please be sure to visit DE’NOVA at http://www.denovaband.com/ and spread the word. Fans are welcome to call in and speak live with them during the show (718) 766-4193. As always we will give shout outs to our deployed military listeners. Be sure to join us, 6/12/2016 at 4 PM EDT! Our message to the troops: WE do what we do, because YOU do what you do.